Welcome to JS Landscapes, specialists in garden design and landscaping services throughout Nottingham and the surrounding areas. 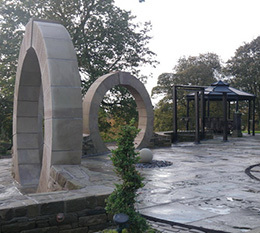 With over 13 years experience in the garden landscaping industry, we offer a comprehensive range of services including hard landscaping, driveways, patios and fencing, in addition to the design and installation of custom-built water features and traditional stone walling. 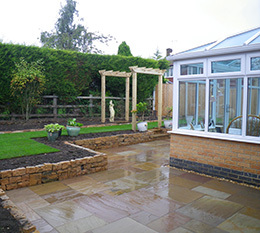 "Free, No Obligation Landscaping Quotations In Nottinghamshire"
Passionate about their work, our Nottingham landscapers complete all work to the highest of standards, striving to provide an excellent service to both commercial and domestic customers. 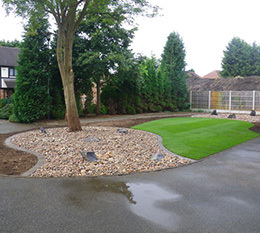 Why Choose Our Landscapers In Nottingham? 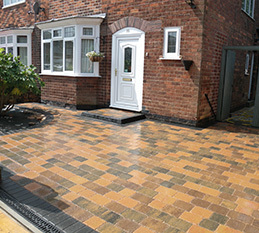 At JS Landscapes, we understand the importance of providing a reliable and valuable service to all customers. We listen closely to the preferences and design ideas of each customer, before designing and creating the garden of their dreams. Having worked hard to build a reputation for providing an honest and valuable landscaping service, we take great pride in the amount of repeat business and new garden landscaping projects acquired from word-of-mouth and customer recommendation.